BlackPowderBill's: Money well spent reloading supplies and equiptment arriving daily. Money well spent reloading supplies and equiptment arriving daily. Money well spent FOR SALE 2 Lee 9mm 1000's are in the shop now. 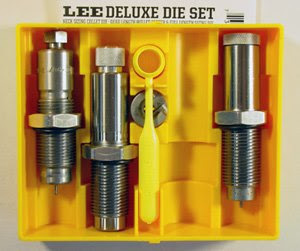 The Lee 1000's are ready to load with minimal set up. $255.00 shipped to the lower 48. Incoming! LEE 45ACP 1000 PRESS $255.00 shipped. I also have over 2,000 pcs of mixed manufacture fired brass , sorry no bullets for the 45acp. 3,000 pcs fired mixed mfg. 9mm brass .08c ea. Dear Bill, Fort Carillon Happy May 10th! It's the anniversary of "America's First Victory" at Fort Ticonderoga in the early weeks of the American Revolution. On this date 238 years ago, Ethan Allen, Benedict Arnold, and the Green Mountain Boys stunned the small British garrison at Fort Ticonderoga, taking the historic fort for the Patriot cause. More items located on my GumBroker.com sales page look for BPBRS.